On Saturday, April 28th, immortals from Houston, Dallas, Austin, and beyond gathered at Avant Garden to experience the Houston Vampire Ball; an exclusive evening of dark decadence & delights craftily curated by Militia Tiamat & the Real Vampires of Houston Educational Forum to honor Houston’s Vampire Queen and newly elected Mayor of Montrose, Mariana Lemesoff. Event held at Avant Garden Houston, organized by Militia TiamatWarning: Some images are graphic ?? “We did not want to do the same old things one might expect at your mother’s vampire ball with the type of stuff you’d typically expect” said event coordinator Militia Tiamat. Sideshow sweetheart & daring diva Marry Bleeds along with friends Skabz & Cilantro the clown performances’ included walking across and rolling in around flaming, broken glass, —taking place outside for obvious safety reasons. The sideshow aspects didn’t stop there. The Cat Chateau Manor presented their kitten-themed “Vampurr” burlesque show, bringing a nice medium between the freaky clowns and bleeding beauties. The Houston Vampire Ball featured more than a few of Houston’s macabre who’s who; and The Dallas Vampire court sent their King (Mike Burgess) and Queen (Rayne Drawps) to mingle among the guests in order to judge the best-dressed vampires, a more egalitarian affair than the typical pageant approaches one might see at other gothic events. The winners Ella Markovsky and Paul Willams netted prizes from Houston’s favorite curiosity shop, the Wilde Collection. Texas gothic celebrities Nubbs McGee, Warring, Ms.Modesty, Steff Overton, Pansy Craze, Aramond Sebastian VanRahamdalph, Militia Malice Tiamat, Malorie & Billy Mehaffey, Kitty Kimiko, Emily Snow, Mike Terror, Lenore Le Phenix, Chris Minamyer, Ms. Spooky Houston 2018 Valerie Hawkins, Eli Self, Adam Nelson Walker and many more were also in attendance. 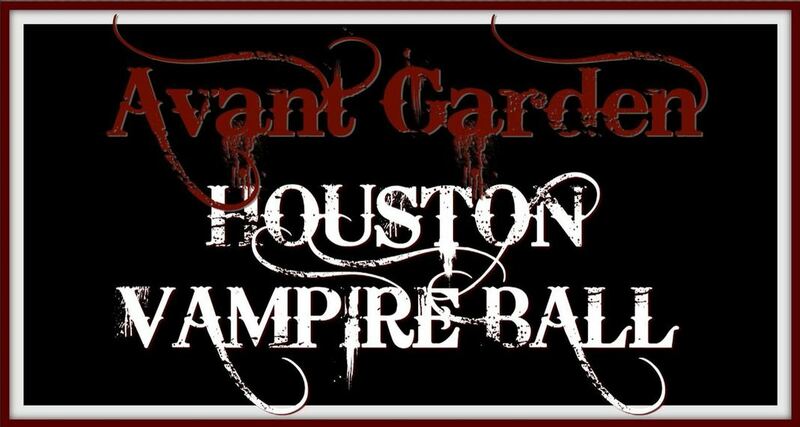 Not your mother's vampire ball!